With depression being one of the most common mental health disorders in the United States, screening should be a routine part of healthcare. Depression is caused by a combination of genetic, biological, environmental, and psychological factors (NIMH). Anybody at any age can experience depression with significantly different symptoms. Since depression looks and feels different for everybody, it’s important for individuals to routinely check in with themselves and their loved ones. Screenings are not a professional diagnosis. Screenings point out the presence or absence of depressive symptoms and provide a referral for further evaluation if needed. If your results or a loved one’s results indicate depression, visit a health care provider or mental health professional for diagnosis and treatment. Once diagnosed, treatment plans may include medication, talk therapy, or a combination of both. During treatment it’s suggested to stay active, spend time with loved ones, avoid alcohol and drugs not prescribed to you, and remember that with time and treatment depression will lift. If these warning signs apply to you or someone you know, get help as soon as possible, particularly if the behavior is new or has increased recently. One resource is the National Suicide Prevention Lifeline, 1-800-273-TALK (8255). The Lifeline is available 24 hours a day, 7 days a week. The deaf and hard of hearing can contact the Lifeline via TTY at 1-800-799-4889. Many people have some of these risk factors but do not attempt suicide. It is important to note that suicide is not a normal response to stress. Suicidal thoughts or actions are a sign of extreme distress, not a harmless bid for attention, and should not be ignored. Often, family and friends are the first to recognize the warning signs of suicide and can be the first step toward helping an at-risk individual find treatment with someone who specializes in diagnosing and treating mental health conditions. See the resources on our “Find Help for Mental Illnesses” page if you're not sure where to start. Do gender and age affect suicide risk? Men are more likely to die by suicide than women, but women are more likely to attempt suicide. Men are more likely to use deadlier methods, such as firearms or suffocation. Women are more likely than men to attempt suicide by poisoning. The most recent figures released by the CDC show that the highest rate of suicide deaths among women is found between ages 45 and 64, while the highest rate for men occurs at ages 75+. Children and young adults also are at risk for suicide. Suicide is the second leading cause of death for young people ages 15 to 34. The CDC reports that among racial and ethnic groups, American Indians and Alaska Natives tend to have the highest rate of suicides, followed by non-Hispanic Whites. African Americans tend to have the lowest suicide rate, while Hispanics tend to have the second lowest rate. 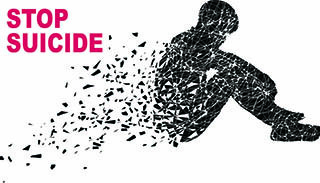 Suicide: A Major, Preventable Mental Health Problem, this fact sheet answers some common questions about suicide and suicide prevention among teens and young adults. 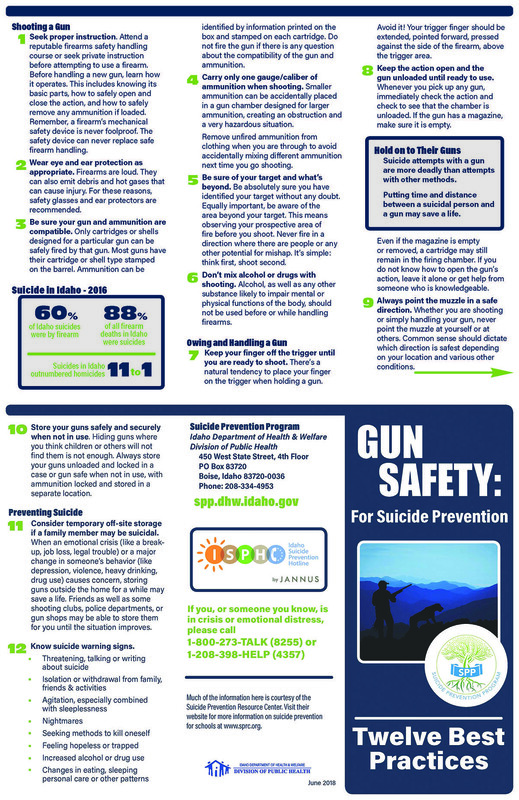 Suicide in America: Frequently Asked Questions, this brochure covers suicide risk in people of all genders and age groups. App: Virtual Hope Box. This free mobile app was developed by the Department of Defense for patients working with a behavioral health provider. The highly personalized content is available to support users any time they have access to their mobile devices. #BeThe1To is the National Suicide Prevention Lifeline’s message for National Suicide Prevention Month. Ask Suicide-Screening Questions (ASQ), a free resource for medical settings (emergency department, inpatient medical/surgical units, outpatient clinics/primary care) that can help nurses or physicians successfully identify youth at risk for suicide. Watch: Suicide Prevention and Research: Dr. Jane Pearson talks about warning signs as well as progress in suicide prevention. Watch: Suicide Prevention Research: Dr. Douglas Meinecke talks about critical suicide prevention research. Watch: Reaching Older Adults: Dr. Jo Anne Sirey talks about seniors, depression, and services. Watch: Men in the Middle Years: Psychiatrist Jeffrey Sung talks to clinicians and researchers about this at-risk population.